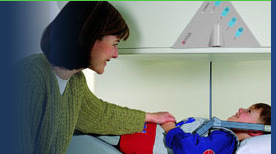 Commitment to the highest standard of quality and personalized patient care possible. The very highest, uncompromised medical ethics. 29 + years of specialized MRI and CT imaging experience. Highly trained subspecialty physicians including Neuro-, Musculoskeletal, and Abdominal/Body Radiologists on site at all times to monitor procedures and consult with Physicians, Physician's Assistants, Nurse Practitioners, Nurses, and their professional staff. UDI Physicians are University of South Florida College of Medicine and H.Lee Moffitt Cancer Center faculty members. Continually striving to provide the latest state-of-the-art technology in MRI and CT imaging services. Immediate call for STAT requested procedures or significant positive results. Routine, rapid, printed or e-mailed results turnaround within 24 hours of less. Same day or walk-in appointments available. Convenient hours including Saturday and evening appointments. Located in the Reasearch Park on the campus of the University of South Florida with ample on sitefree private parking lot with room for all types of patient vehicles.